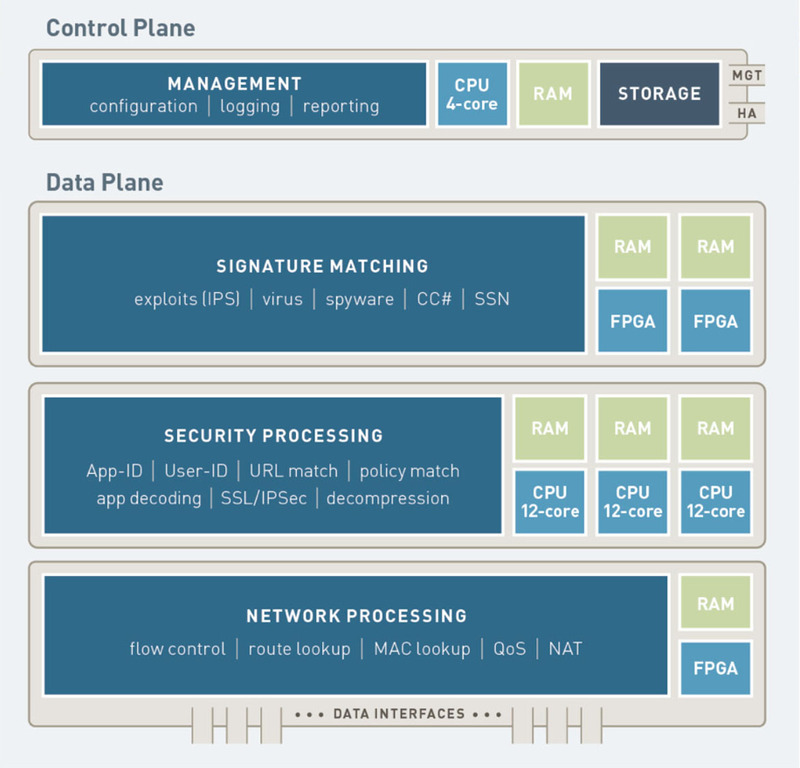 Palo Alto, Cisco, ASA, Next-Gen Firewall, FirePower, Armana Computer Security Products. FireSight, NetWrix, Logrythm, SafeNet, CAPEX EAS Email Archiving, ISO27001, PCI, WebSense, Security Consultancy and Training. Firewall, Intrusion Protection, Cyber Security, Security Audits, Hacking Protection. Ready to purchase a Palo Alto Next-Gen Firewall? Have a look at our PALO ALTO FIREWALL APPLIANCE COMPARISON GUIDE. The download ICON is found the foot of this webpage. Prior to the Palo Alto Next-Generation Security Platform two basic choices existed to secure access to business applications - either block everything in the interest of network security or enable everything in the interest of the Business - that choice leaving little room for compromise. Use of the Palo Alto Next-Gen Firewall changes that. Furthermore it provides the way to safely enable Applications to the Client Base, granting right-to-entry while preventing Cyber Security Threats. The Firewall Appliances (core of the Next Generation Security Platform) have been designed from the ground up to address the most sophisticated of today's Cyber Threats. The firewall device inspects all traffic - inclusive of applications, threats and content - and ties it to the User device regardless of it's location or type. The application, content and user (elements that drive business) can now become an integral component of the Enterprise Security Policy: enabling security protection and business initiatives to be easily aligned. The PA Appliances will also facilitate a reduction in response times to security incidents; the uncovering of unknown threats; and the streamlining of security network deployments. We provide more detailed information in our PA Firewall Overview document, which can be downloaded from this page "click" button below. ♦ Safely enable Applications, Users, and Content including software-as-a-service (SaaS) Applications. ♦ Prevent threats by eliminating unwanted Applications and unknown Malware (APTs). ♦ Protect Data Centers through the validation of Applications and high-speed Threat prevention. ♦ Secure public and private cloud computing environments with increased visibility and control. ♦ Embrace safe mobile computing no matter where the mobile device is located. ♦ Streamline device, network and policy management that match your Organizational structure. ♦ Use its security profiling to empower more diverse business activities. These Palo Alto Appliances redefine high-performance network security. The PA-7000 Series of next-generation firewall appliances offers the perfect blend of power, intelligence and simplicity. Power, derived from a proven architecture, blends ultra-efficient software with nearly 700 function-specific processors for networking, security, content inspection and management. Its intelligence maximizes security-processing resource utilization and automatically scales as new computing power becomes available. The PA-7000 Series offers simplicity defined by a single-system approach to management and licensing. CLICK Image to download the 7000 Series Datasheet. These Palo Alto Appliances provide a consistent Architecture with High-Performance versatility. The PA-5000 Series next-generation firewalls prevent threats, and safely enable applications, across a versatile set of high-performance use cases (e.g. Internet Gateway, DC, and SP environments). The series includes the PA-5060, PA-5050, and PA-5020, which are based on the same architectural foundation as all of our next-generation firewalls. The PA-5000 Series enables Organizations to be secured through advanced visibility and control of applications, users, and content at App-ID throughput speeds up to a maximum of 20 Gbps; 10 Gbps and 5 Gbps respectively: Maximum sessions (IPv4 or IPv6) of 4,000,000; 2,000,000 and 1,000,000 respectively and Connections per second up to a maximum 120,000, all. Dedicated processing resources assigned to networking, security, signature matching, and management functions ensure predictable performance. CLICK Image to download the PA 5000 Series Datasheet. CLICK Image to download the feature comparison of the 5000 Series Appliances. These Palo Alto Appliances provide a consistent Architecture with Multi-Gig throughtput. 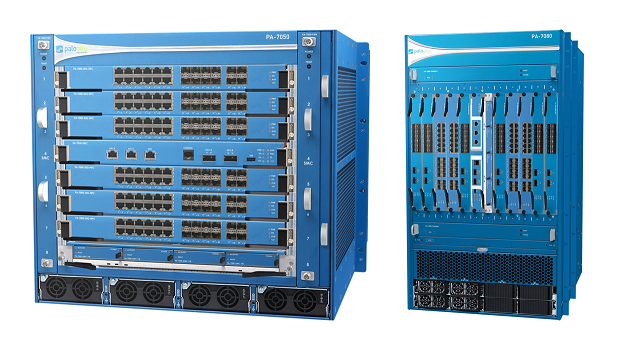 The PA-3000 Series next-generation firewalls prevent threats and safely enable applications. The series includes the PA-3060, PA-3050, and PA-3020, which are based on the same architectural foundation as all of our next-generation firewalls. The PA-3000 Series enables Organization to be secured through advanced visibility and control of applications, users, and content at throughput speeds up to a maximum of 4 Gbps; 4 Gbps and 2 Gbps respectively: Maximum sessions (IPv4 or IPv6) of 500,000; 500,000 and 250,000 respectively and Connections per second up to a maximum 50,000, all. Dedicated computing and programmable hardware resources assigned to networking, security, signature matching, and management functions ensure predictable performance. CLICK Image to download the PA 3000 Series Datasheet. CLICK Image to download the feature comparison of the 3000 Series Appliances. Two models comprise this Series of next-generation firewall appliances, which are designed for a Branch Office or Mid-sized Business Implementation. The PA-800 next-generation firewall prevents threats and safely enables applications. There are two models, the PA-850 and PA-820, and both are based on the same architectural foundation as all the Palo Alto next-generation firewalls. It enables Organization to be secured through advanced visibility and control of applications, users, and content at throughput speeds of 1.9Gbps (pa-850) and 940 Mbps (pa-820) with maximum new sessions per second of 9,500 and 8,300 up to a maximum of 192,000 and 128,000, respectively. Both have dedicated computing resources assigned to networking, security, signature matching, and management functions to ensure predictable performance. CLICK Image to download the PA 800 Series Datasheet. These two Palo Alto Appliances are designed for Small Organizations or Compact Implementations. The PA-500 next-generation firewall prevents threats and safely enables applications. Based on the same architectural foundation as all of the Palo Alto next-generation firewalls the PA-500 has the smallest Rack-Mount form factor. It enables Organization to be secured through advanced visibility and control of applications, users, and content at throughput speeds of up to 250 Mbps: Maximum sessions (IPv4 or IPv6) of 7,500 and Connections per second up to maximum of 64,000. The PA-200 next-generation firewall prevents threats and safely enables applications and is ideal for small Organizations or the Branch Office use. It's form factor is designed for a desktop deployment. The PA-200 is also based on the same architectural foundation as all of the Palo Alto next-generation firewalls and enables Organization to be secured through advanced visibility and control of applications, users, and content. The throughput speed is up to 100 Mbps with Maximum sessions (IPv4 or IPv6) of 1,000 and Connections per second of up to a maximum of 64,000. Both models have dedicated computing resources assigned to networking, security, signature matching, and management functions to ensure predictable performance. CLICK Image to download the PA 500 Series Datasheet. CLICK Image to download the PA 200 Series Datasheet. CLICK Image to download the feature comparison of the pa 200, 500 & 3020 Appliances. The complexity of security deployments, which have a multiplicity of intricate security rules to administer plus mountains of data, from multiple sources, to sort through has driven the realisation of Palo Alto's Panorama™ Network Security Manager. With the implementation of Panorama™ Security & Network Administrators are empowered to work as effectively as they desire to do! This easy-to-implement solution with its consolidated policy creation and centralized management functions will simplify the complex administration of security challenges and provides a really effective tool, with insight, to combat today's network-wide traffic and cyber threats. CLICK Image to download the Panorama™ Datasheet.